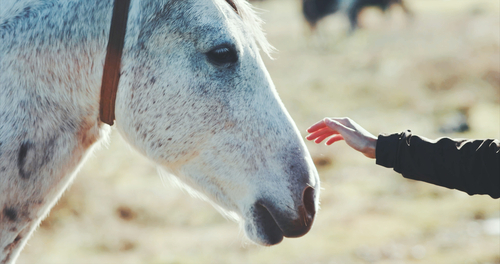 In order to ensure your horse remains a healthy weight and is able to perform at his best, it’s essential that you are feeding the right amount. How much should a horse be fed? 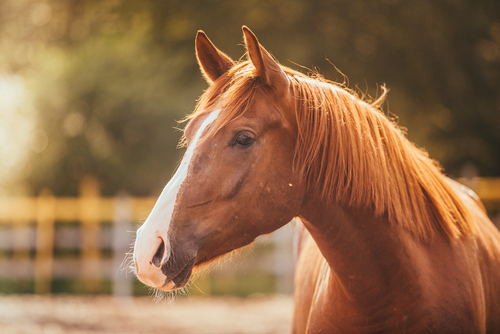 The answer depends on many factors, including your horse’s activity level and the quality of your feed. 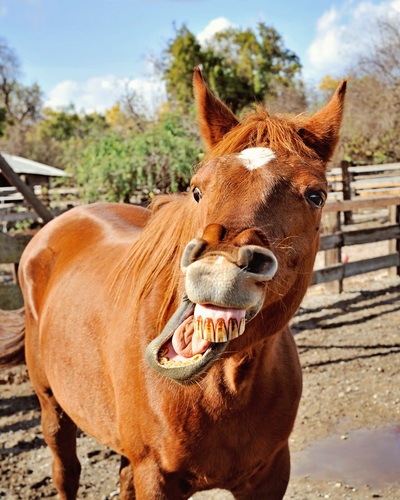 Here are some basic guidelines that you can use to determine how much to feed your horses. Experts generally agree that all horses, regardless of activity level, should consume about 2% of their body weight per day in a combination of forage and concentrates (grains). Horses who are doing little to no work should eat closer to 2% of their body weight in forage, with little to no concentrates. Those who are doing heavy work will need closer to 1% of their body weight in forage and an equal weight of concentrates. Those in moderate work will fall somewhere in between. For example, if you have a 1,000 pound horse who is in light work, a good diet might consist of 17 pounds of hay or hay cubes and 3 pounds of grain per day. The same 1,000 pound horse in a heavy work program may need 10 pounds of hay and 10 pounds of grain, since the grain is higher in energy. If you feed high-quality feed, you won’t have to feed quite as much. For instance, to put weight on a horse that loses weight while eating 15 pounds of grass hay per day, you can replace half of that hay with higher-quality alfalfa pellets instead of just feeding more of the low-quality hay. Concentrates, or grains, also come in different varieties. Make sure you’re feeding one that’s designed for your horse’s stage of life. The back of the feed bag should advise you as to how much to feed. For example, your horse may need 10 pounds of a lower energy grain per day, but only 5 pounds of a higher-energy, performance grain. Forage is the base of all horses’ diets, and all horses need at least 1% of their weight per day in a high quality forage such as grass, hay or alfalfa pellets. 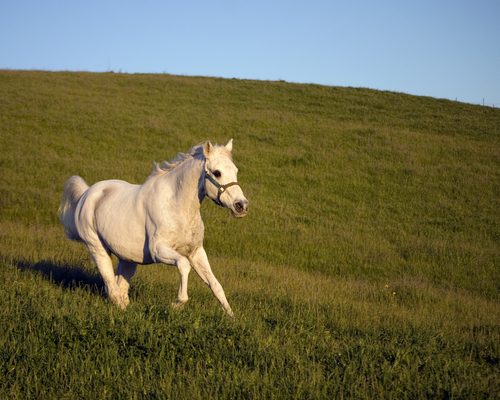 From there, you can add concentrated grains or more forage, depending on your horse’s workload. 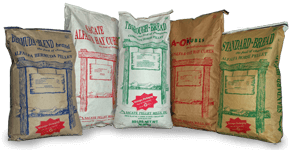 If you have questions about your horse’s individual feed needs, get in touch with the livestock experts at Sacate Pellet Mills.